Molly from HBO’s Insecure has made hella bad decisions in her love life, and hooking up with her childhood friend Alejandro, aka Dro, has probably been her worst one. When she found out that Dro’s marriage to his wife was (allegedly) open, she was appalled and curbed Dro’s sexual advances. But after finding out her parents’ 35-year marriage wasn’t picture perfect like she thought, she seemingly lost faith in having her own traditional love story. This vulnerable moment led to her ending up in bed with Dro and cautiously embracing being a part of his open marriage. Like most who are new to the open relationship dynamic, Molly thought she could be down, but during the “Hella Disrespectful” episode, she found herself a bit jealous and uncomfortable being around her friend’s wife, Candice. Somatic psychotherapist Sonya Brewer said jealousy is hard to escape in these situations, especially for newbies. “We might agree to something and then find that the thing we agreed to is just too painful,” she explained. Brewer, who is based in Los Angeles, explained that there are many different types of open relationships — some where people have multiple sexual partners, others where there is romantic involvement with multiple partners, and also people who bring a third person into their relationship or date multiple people with no primary relationship. 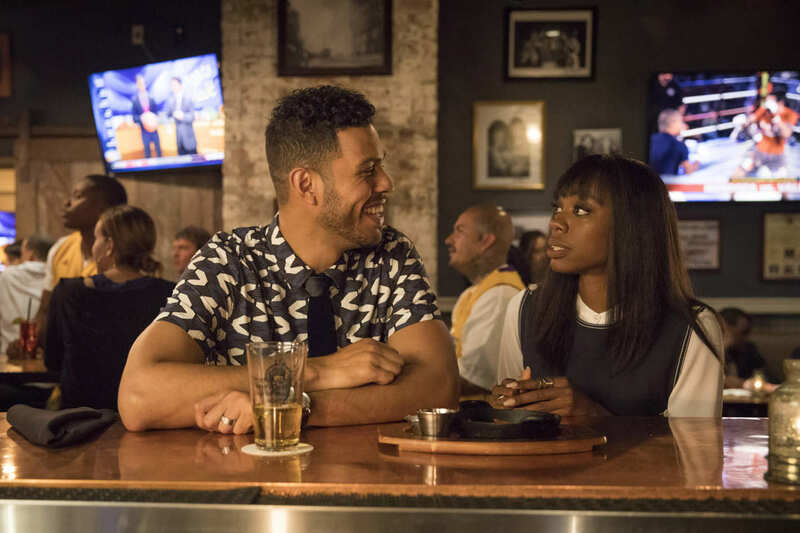 During an interview with Issa Rae on HBO’s Wine Down after Insecure, Sarunas Jackson, who plays Dro, discussed his experience in an open relationship and explained that it’s not about wanting to be with other people all the time. Brewer said to be able to get to a place in the relationship where both partners are comfortable with the openness, patience, communication and conflict resolution skills must be exceptionally strong. Throughout her time working with couples, Brewer said non-monogamous unions are actually most popular with middle-aged folks, but, recently, she has seen a surge of millennials being in open relationships. She went on to say that in counseling millennial open couples, their approach and attitude to relationships is more sophisticated than older couples. Molly felt that open relationships could be super messy, but they can actually be quite successful. Brewer said she once worked with a couple in a 30-year open relationship. Realizing that she needed more of a commitment, Molly ended things with Dro via text. But although that setup didn’t work for her, open relationships may become more of the new normal for millennials sooner rather than later.